PANGASINAN STATE UNIVERSITY, led by the Director of Gender and Development (GAD), Dr. Merlita Q. Santos, strengthens the GAD awareness of its employee after it successfully conducted a two-day Seminar-Training on Handling Sexual -Harassment Cases and Capacity Building on Gender Mainstreaming among GFPS/ CODI Members of the university last November 12-13, 2018 at Metro Vigan Fiesta Garden Hotel, Guimod, Bantay, Ilocos Sur. On the first day of seminar, Dr. Cherrie Melanie Ancheta-Diego, Director IV of CHED Regional Office 1, tackled about the Gender Mainstreaming which includes Harmonized Gender and Development Guidelines (HGDG) in the morning session and Preparation of GAD Plan and Budget in the afternoon session which helped the attendees to understand more about the gender policies, and gender inequalities that are still embedded in our society. Atty. Charisma M. Agbayani, Attorney V, Legal Services Division of Civil Service Commission Regional Office 1, graced the second day of the seminar with her talk about Handling Sexual Harassment Cases and Other Sexual Related Problems and Concerns which enlightened the attendees on ways how to protect them-selves from any cases of sexual harassment specially at work and for them to protect the students who are suffering from this case. PANGASINAN STATE UNIVERSITY, Binmaley Campus once again produced topnotchers in the recently held 2018 Fisheries Technologist Licensure Examination (FTLE) in the personas of 2018 Bachelor of Science in Fisheries graduates Mr. Elmer B. Abarra, who notched the second spot, Mr. Jomark D. Parana and Ms. Laila U. Ubando, who were positioned in Top 5 and 7 respectively. For the past years, PSU Binmaley has consistently produced topnotchers in the Fisheries Technologist Board Examinations, giving prestige and reputation to the university and producing skilled and conversant graduates. These graduates are able to contribute to the development of agriculture and aquaticbased industries which the Philippines needs most in order to properly harness its aquatic resources towards economic development. All of these were made possible because of the strong commitment of the university to lead the region and the nation as well in terms of various technologies applicable to fisheries education. BS Fisheries program is also recognized by the Commission on Higher Education as Center of Excellence. More so, as a university policy, topnotchers are awarded with monetary incentive with the Top 7 given Php 80,000.00 and Top 5 and 2 Php 100,000.00 each. THE PANGASINAN STATE UNIVERSITY (PSU) once again subjected itself to the Accrediting Agency of Chartered Colleges and Universities in the Philippines (AACCUP) accreditation in four of its campuses including Bayambang, Lingayen, Sta. Maria and Urdaneta. Led by Professor Nestor C. Competente of the Rizal Technological University, 29 accreditors conducted document analyses and evaluation to the programs of: Bayambang Campus (Bachelor in Public Administration and BS in Business Administration; Sta. Maria Campus (Bachelor of Elementary Education, Bachelor of Secondary Education, BS in Agribusiness Management and BS in Agricultural Engineering); Lingayen Campus (BS in Mathematics, Bachelor of Secondary Education and Bachelor of Technical Teacher Education); and Urdaneta City Campus (BS in Architecture) after the opening program at the Convention Hall. Said accreditation is the second survey visit conducted by the AACCUP Inc. in PSU for this academic year 2017-2018 following the successful visit last May, 2018 where nine programs were evaluated. On the following day, accreditors proceeded to their assigned campuses to conduct site visit or campus tour to further verify and gather more relevant information as well as interview key informants. 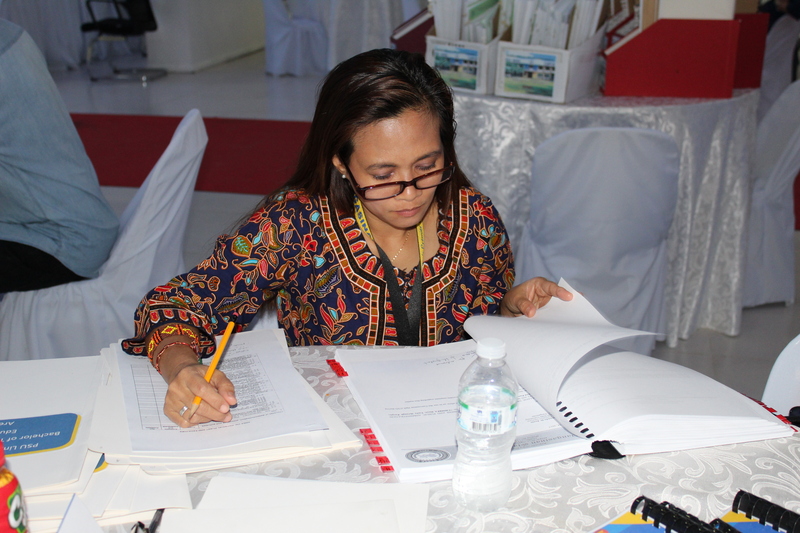 The accreditation ended through a simultaneous Exit Conferences by Campus and General Closing Program at Lingayen Campus whereby accreditors enumerated the strengths and areas needing improvement. Areas that had been assessed were: Vision, Mission, Goals and Objectives; Faculty; Curriculum; and Instruction; Support to Students; Research; Extension and Community Involvement; Library; Physical Plants and Facilities; Laboratories; and Administration. AACCUP accreditation is one of the quality assurance mechanisms which supports the University’s desire to improve in all its program offering along the areas visited. As the leading Science and Mathematics organization in the Philippine Higher Education Institutions, the Philippine Consortium for Science, Mathematics and Technology (PCSMT) management was already turned over to Pangasinan State University as Dr. Dexter R. Buted, University President, assumed the council’s chairmanship. Representing the PSU Administration, Dr. Manolito C. Manuel, Vice President for Academic Affairs, received the key of responsibility from Dr. Serafin L. Ngohayon of Ifugao State University, last year’s Chairperson in the Annual National Science and Mathematics Quiz and Turnover Ceremony held at University of the Philippines, Vigan City, Ilocos Sur on December 6-7, 2018. 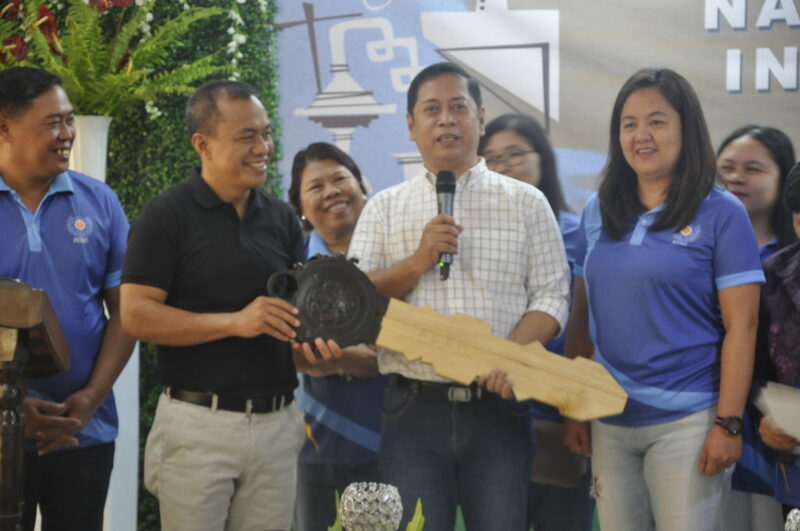 The event marked another historical feat as the PSU will be holding PCSMT as new name after being called as Philippine Science Consortium for almost two decades. The PCSMT which aimed to sustain and maintain quality education in Mathematics, Breeder Sciences and Technology among the State Universities and Colleges (SUCs) was organized by founding member institutions namely Central Luzon State University (CLSU), Cagayan State University (CSU), and Isabela State University (ISU) on September 17, 1982 and now flourishing with over 39 member institutions. Moreover, the PSU administration expresses its gratefulness in spearheading such organization which will serve as manifestation of PSU’s golden era in its notable management and event hosting commitment following the International Academic Summits, National Risk Reduction and Management Convention, and other international and national events hosting this 2018. PSU’s chairmanship will end in December, 2019 and will be automatically followed by the elected Vice-Chairperson of the council from the Abra State Institute of Science and Technology. Meanwhile, PSU also celebrated another laurel as it was announced as the Over-all 4th Runner Up in the National Science and Mathematics Quiz and Infomercial Making Contest. Sahra A. Vicente and Chris Norman M. Olga, students from PSU-Urdaneta Campus, dominated their competitors with their mind-blowing problem solving skills after finishing gold in the Mathematics Quiz while Grace C. Cardona and Kristen Joyce Concepcion tallied points, enough to clutch fifth place in the Biology Quiz. Other PSU representatives namelyLynnete Ann B. Cruz and Marjorie R. Orjeda of Chemistry Category; Hanah Lou T. Abad and Den Mark DC. Soriano of Physics Category; and Dexter Ryan Catli, Alvin Garcia and Alexis Paragas- still finished strong after making it through top ten thereby contributing to the team’s standing. ADAPTING TO THE NEW PLATFORM IN EDUCATIONAL ARENA, five Pangasinan State University Open University System (PSU-OUS) faculty members presented their researches about Electronic learning (e-learning) system in the 3rd ICODeL 2018 at Kaohsiung, Taiwan on November 26-29, 2018. Headed by Dr. Liza. 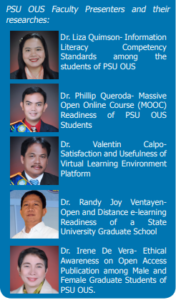 Quimson, OUS Executive Director, the delegates were able to underline PSU’s distance e-learning program that truly captured the attention of international participants. ICODeL is a biennial international conference series on open and distance e-learning (ODeL) launched on February 22- 24, 2012 in Manila, Philippines to provide a forum for distance education and e-learning scholars, practitioners and policymakers to share and reflect on experiences, and collaboratively create and explore spaces and possibilities for ODeL for development. The second ICODeL was held in Manila in 2014. In 2018, UPOU partnered with National University of Kaohsiung to organize the third ICODeL in Taiwan.